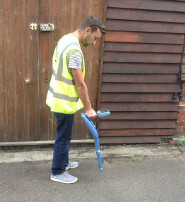 Cadmap operate the latest in CCTV Drainage Condition survey equipment to trace and also examine the condition of underground pipes. 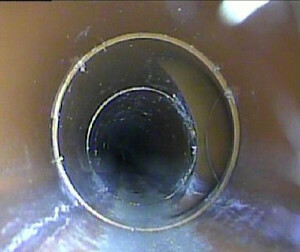 CCTV Drainage Surveys are carried out operating the MiniCam Solo Pro 60 Meter Drain Camera and Wincan V8. The MiniCam has a built in 'sonde' which can work in sync with the RD8000 to pinpoint the exact direction and location of the underground pipes. 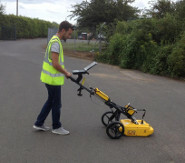 Cadmap Underground Surveying attend site equipped with an original topographical survey which shows the position and the level of manhole covers. Manhole covers are lifted in a safe and secure manor to ensure no danger is at risk to the public. 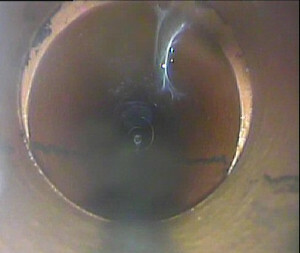 Invert readings are measured, direction of flows are established and pipe sizes noted along with sewer construction, either foul or surface. 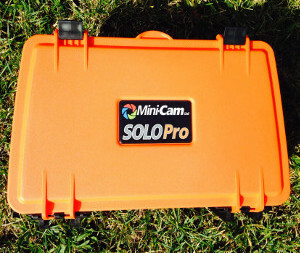 using a CCTV MiniCam Solo Pro device and we video the chambers and pipes which show conditions of the runs and would show any blockages or damage and any junctions which are present between 2 manholes. This information is then added to the existing survey, all connections, invert levels and direction of flows are clearly presented on the drawings and are referenced to the Wincan Report.